"Downtown is a very populated area, and so to have multiple gunshots fired in an area like this is concerning." 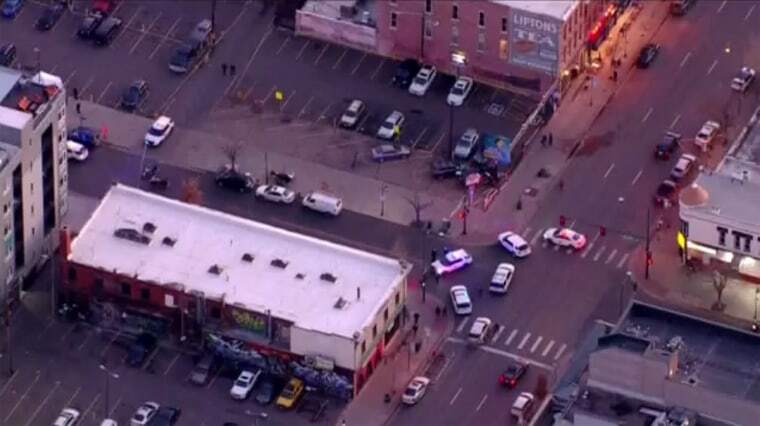 One person was killed and four others were injured in a shooting in downtown Denver late Monday afternoon, authorities said. The shooter or shooters remained at large Monday night. Doug Schepman, a police spokesman, said the incident took place at about 4 p.m. (6 p.m. ET) in the Lo Do neighborhood a few blocks from Coors Field, the home of the Colorado Rockies baseball team. Police initially said three people were injured with non-life-threatening wounds. Late Monday night, they said four people were taken to the hospital, where they were listed as stable. Schepman said the suspect or suspects remained at large, and streets in the area were closed at rush hour as police investigated. "Downtown is a very populated area, and so to have multiple gunshots fired in an area like this is concerning," he said.